London, UK (BBN)-A 12-year-old girl in the UK has achieved the highest possible score of 162 on a Mensa IQ test, which could make her brainier than Albert Einstein and Stephen Hawking. Nicole Barr, of Harlow, Essex, got a perfect 162 on the Mensa test, reports NDTV. 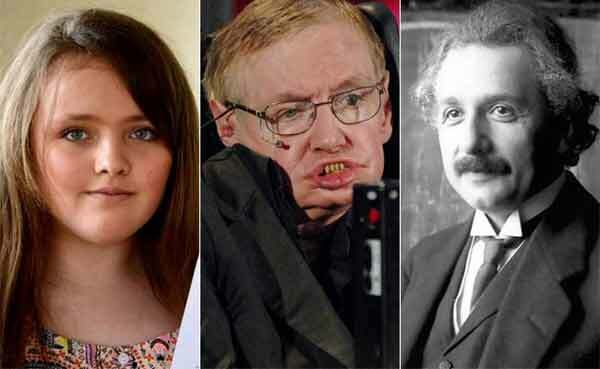 The score puts the tween in the top one per cent of brightest people in the world and means she is more intelligent than physicist Hawking, Microsoft founder Bill Gates and Einstein, who are all thought to have an IQ of 160. “She’s a hard, hard working child. She stays after school for homework club and never misses a day,” said her mother Dolly Buckland, 34. “From a young age she’s been picking out mistakes in books and magazines. She’s a happy, fun-loving girl who is always asking for extra homework,” she was quoted as saying by ‘mirror.co.uk’. “When I found out I got such a high score, it was so unexpected. I was shocked,” said Nicole who received her IQ test results last week. “Nicole’s IQ puts her comfortably within the top one per cent of the population,” said Mensa Spokesman Ann Clarkson. The girl, who is a Year 7 student in Burnt Mill Academy, enjoys reading, singing and drama. At primary school, Nicole was several years ahead of her peers and could tackle complex algebra before the age of ten. 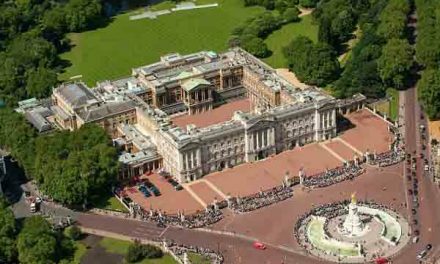 Queen hit by walkouts of 14 cooks, kitchen staff!